In August, I had a business trip to Santa Rosa, in Sonoma County, north of San Francisco. I took the "slow way" back, via Route 1 along the coast. 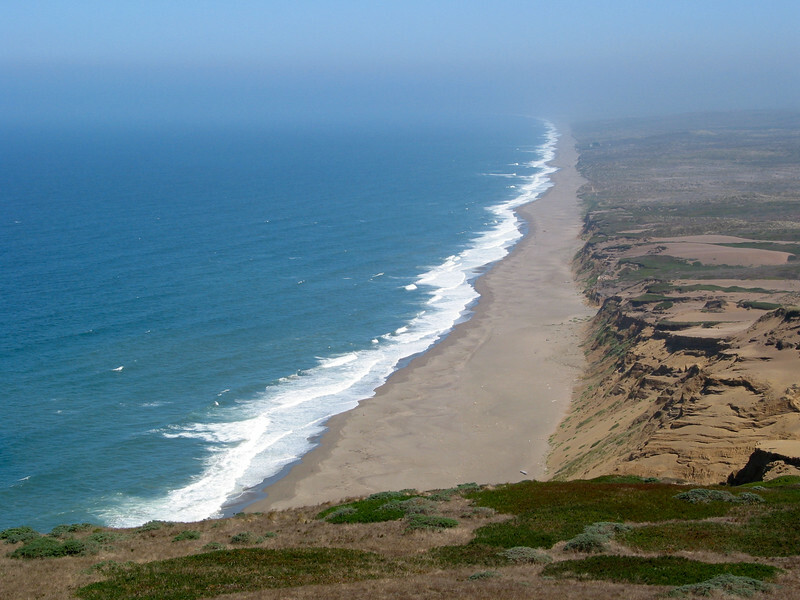 I visited Point Reyes, which juts out into the Pacific. In fact, it's part of the Pacific Plate, on the opposite side of the San Andreas fault from the North American Plate of the mainline, and is slowly sliding northwards. Then I visited Muir Beach Overlook, part of the Golden Gate National Recreation Area.